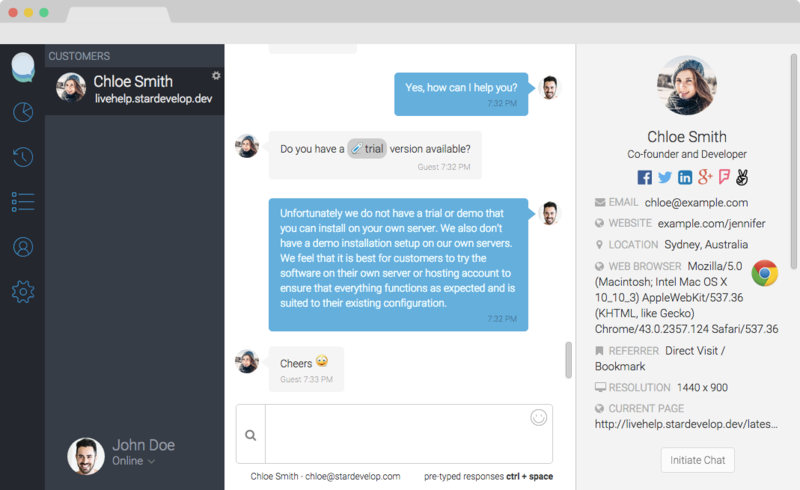 The Chatstack Web App allows your team of customer service representatives to chat with your site visitors from any computer. Simply they login to the web app from Google Chrome, Safari, Firefox, Microsoft Edge or Internet Explorer and they are ready to start chatting. The web app works great on Mac OS X, Windows and Linux systems, so no matter what computer your customer service reps are at they can support your customers. We also have desktop apps available for Windows, Mac and Linux which don't require you to have your web browser open. Our desktop apps also support auto-away mode when your desktop or laptop is idle. Quickly switch between tabbed chats when chatting with multiple visitors at the same time. Tabbed chats are now accessible when using the web administration panel. When your operators use the Web App with Google Chrome or Safari (Mountain Lion with Notification Center) they will receive popup alerts for incoming chat requests. Never miss a chat when you have your web browser minimised or hidden. 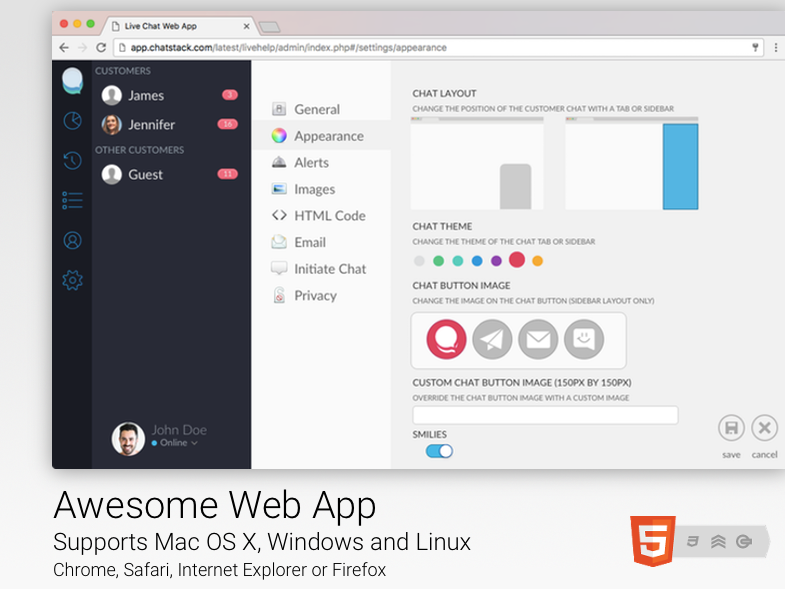 The web app also plays sound alerts for chat requests and new messages. 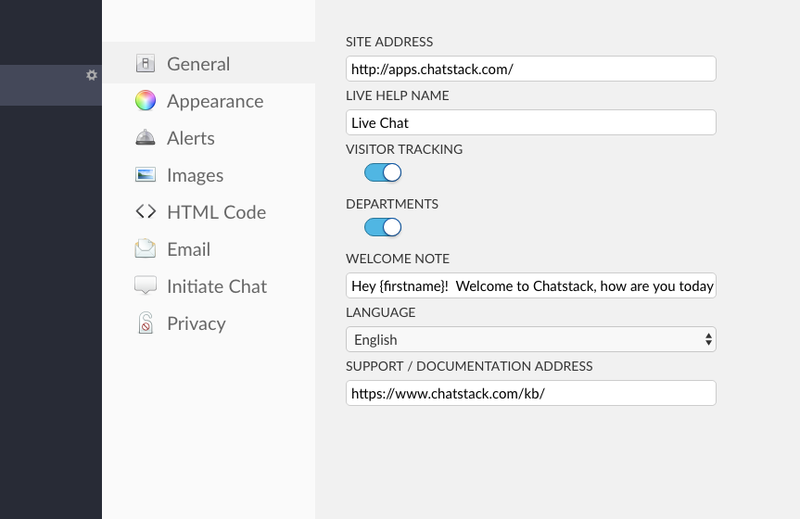 Easily update the Chatstack server settings from the web admin panel or the Desktop apps (Windows, Mac or Linux). You can quickly customise the Chat Layout, Chat Button, Appearance, Online / Offline Images, Alerts / Notifications, Initiate Chat (Proactive Chat), Privacy, Email and General settings.